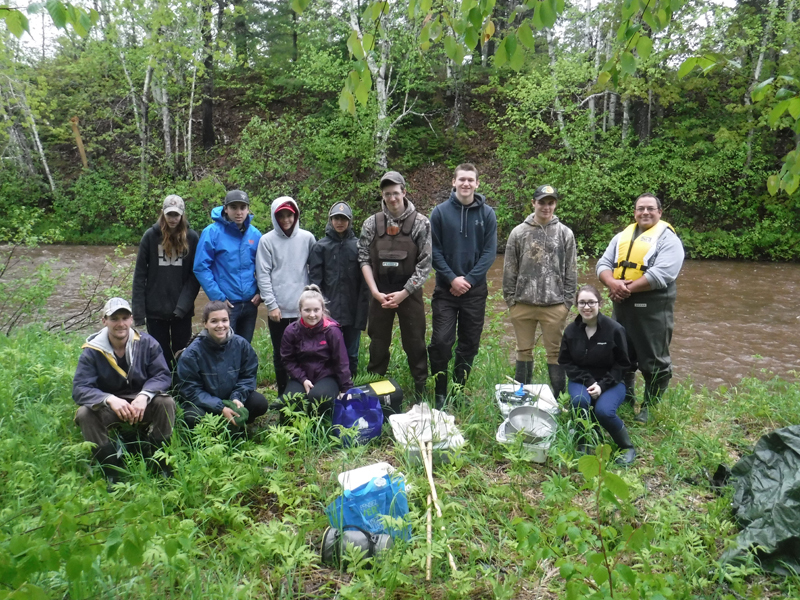 A variety of assessment work that has been carried out on the Kouchibouguacis and Kouchibouguac rivers in recent years has led to a better understanding of their ecological health status. An assessment of the state of riparian zones has therefore shown that a growing fragmentation of vegetation in buffer zones must be addressed as a priority for maintaining the health of our rivers. To address this problem, our organization has undertaken a variety of outreach activities since the summer of 2002. 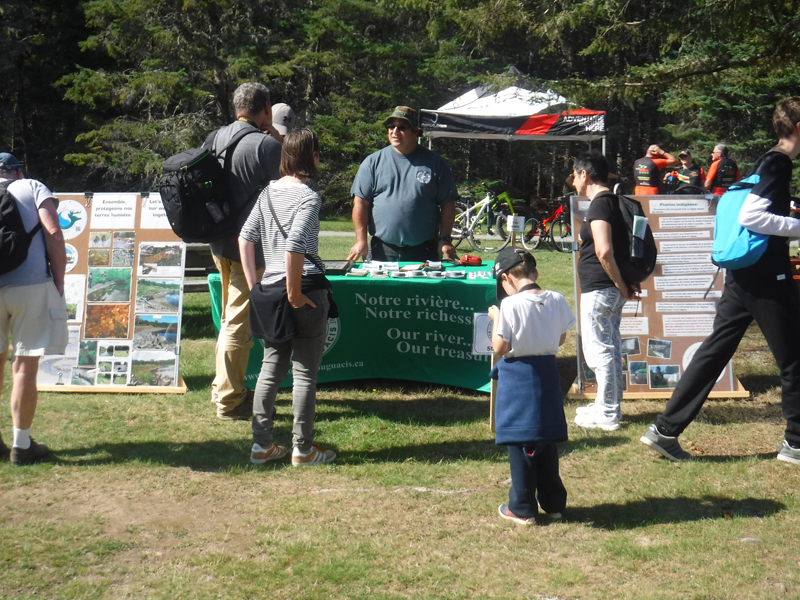 Once again this year, thanks to the financing received from the New-Brunswick Environmental Trust Fund and assistance of various partners, The Friends of the Kouchibouguacis have undertaken some initiatives in this direction. The Friends of the Kouchibouguacis offers a consulting service for shoreline property owners who own land along the main branch of the Kouchibouguac and Kouchibouguacis rivers, and for people who own land where tributaries of these rivers are present on their property. This program is offered so that riverside property owners can adopt best management practices for land development near watercourses. Alteration or destruction of buffer zones along watercourses may lead to stress on aquatic life. The sedimentation effects in a river can smother and destroy the larvae of some invertebrates and possible salmonids spawning grounds; the absence of the buffer zone reduces the filtration capacity of possible pollutants from the ground; the warming of the water caused by the widening of our rivers contributes to the increase in the quantities of bacteria and algae, which causes dissolved oxygen to decrease. For more information please contact us or click here to consult the pamphlet entitled "Shoreline Property Owners". Benthic macro-invertebrates are excellent indicators for studying changes in biodiversity, water quality and ecosystems. They have been used as indicators on the Kouchibouguacis and Kouchibouguac rivers since 2001. This project is intended to be an exercise that collected information/data that will assist in the final classification process for rivers in our region. 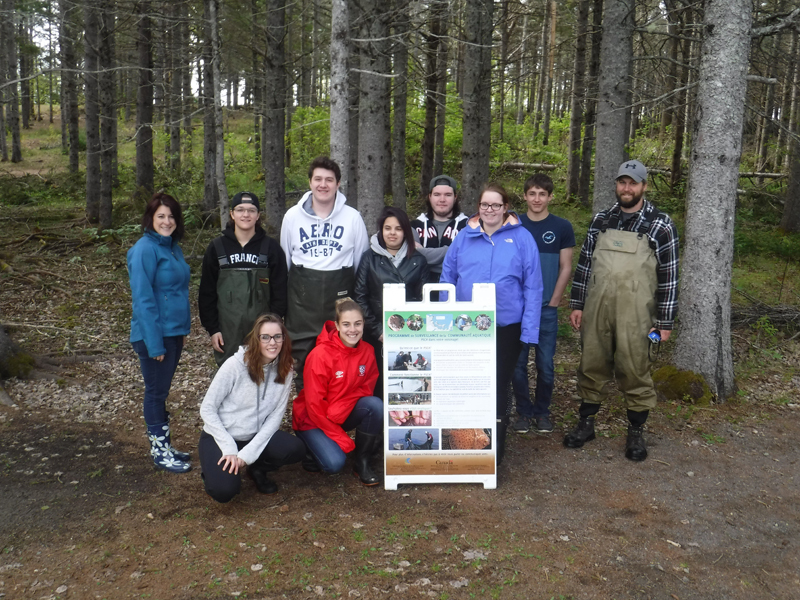 The Canadian Aquatic Biomonitoring network (CABIN) sampling method, an Environment Canada program, was implemented by the Friends of the Kouchibouguacis. This sampling method is supported and used by Environment Canada, Parks Canada and the New Brunswick Department of Environment. 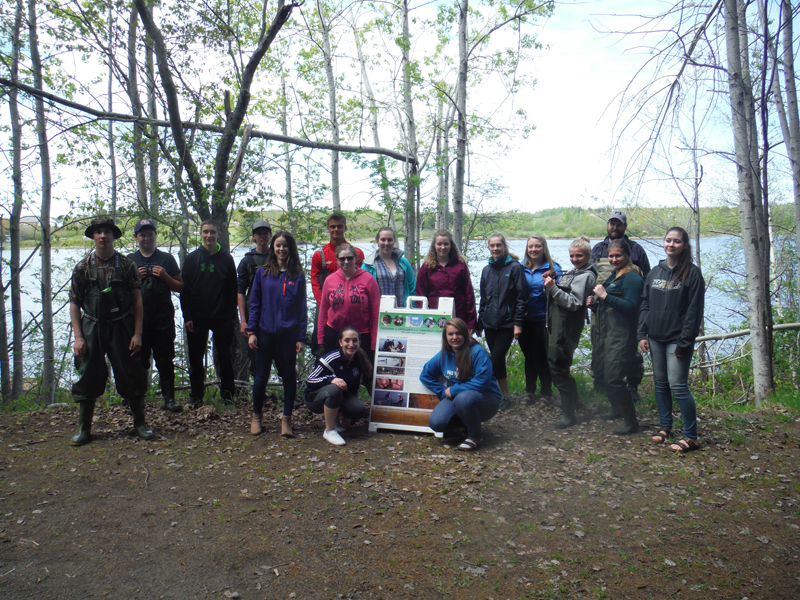 Sampling of benthic invertebrates was integrated into the curriculum of students at the École secondaire de l' Assomption de Rogersville (ESAR). This activity consisted of: addressing the watershed approach, the concepts of water quality vs. water quality. land use; why use benthic invertebrates, habitat concepts, food chain concepts, field methods, the different parameters and indicators measured during a monitoring exercise, the types of aquatic habitats found in a watercourse, the different fish inhabiting our rivers, the types of activities that can influence water quality, habitat and aquatic species, and the importance of riparian zones. In the same way that benthic invertebrates are used as an indicator of stream health, fish can be used. 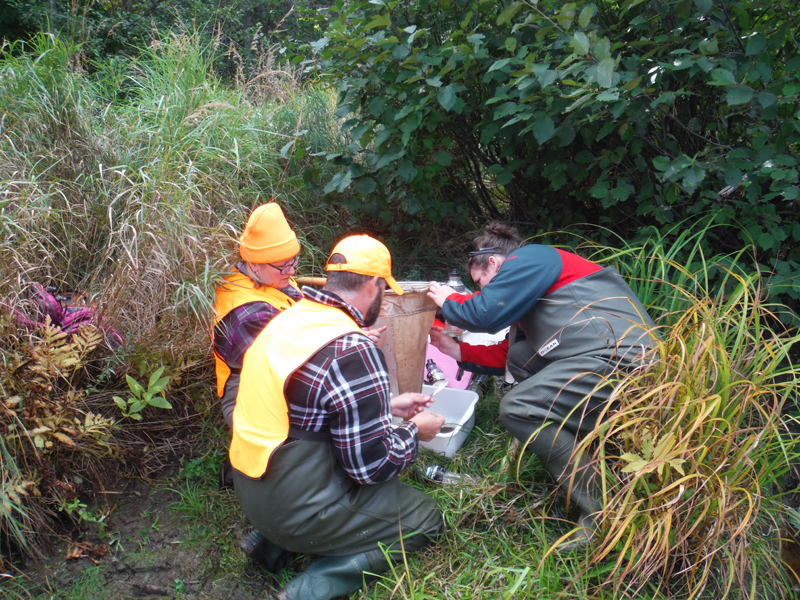 The Community Aquatic Monitoring Program (CAMP) collects data on invertebrates and fish, aquatic plants, sediments and water quality has been standardized for each of the sites in the river's nearshore zone. 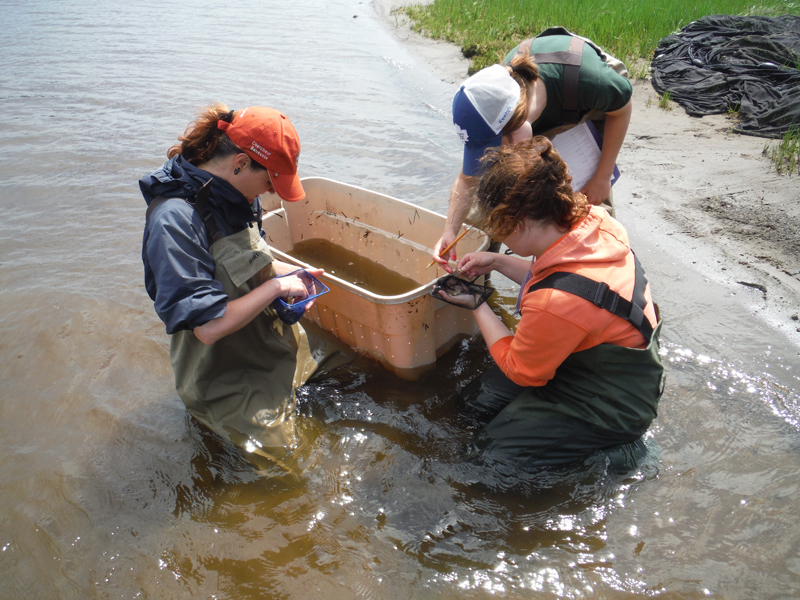 Since 2003, sampling has taken place at six sites at least three times a year in the Kouchibouguacis River estuary. The integration of the programme (CAMP) has made it possible to develop a useful component in the school curriculum of the Mgr. Marcel-François Richard (Mgr. MFR) of Saint-Louis-de-Kent. This program could also be accessible to other schools in the province. By working with high school youth, their increased awareness will encourage better environmental practices in the short and long term. Their increased awareness should also influence their parents and other community members to make healthy environmental choices. In the longer term, these improved practices will improve water quality in our region. 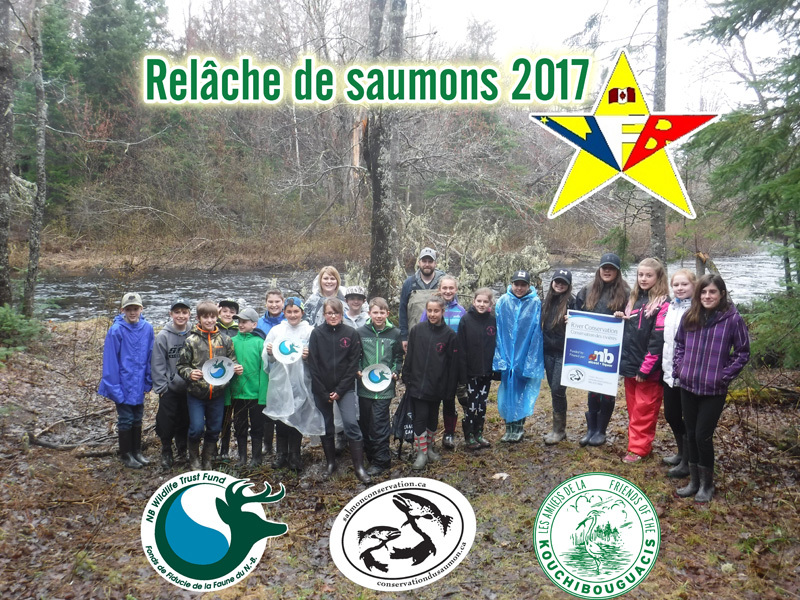 We have been using the salmon stocking project as an awareness-raising tool at the École Marée Montante in Saint-Louis since 2002 and at the École Marcel-François-Richard since 2008. These two schools merged in 2016 to become École Mgr Marcel-François-Richard, which still has primary and secondary schools. 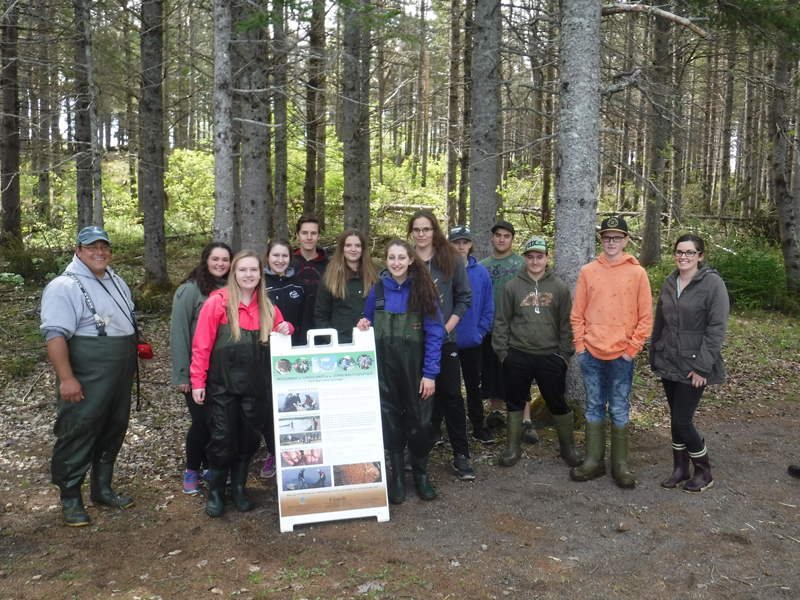 In 2016, we also recruited Rogersville's W. F. Boisvert School by providing them with all the equipment and information needed for the Our Fish Friends program. 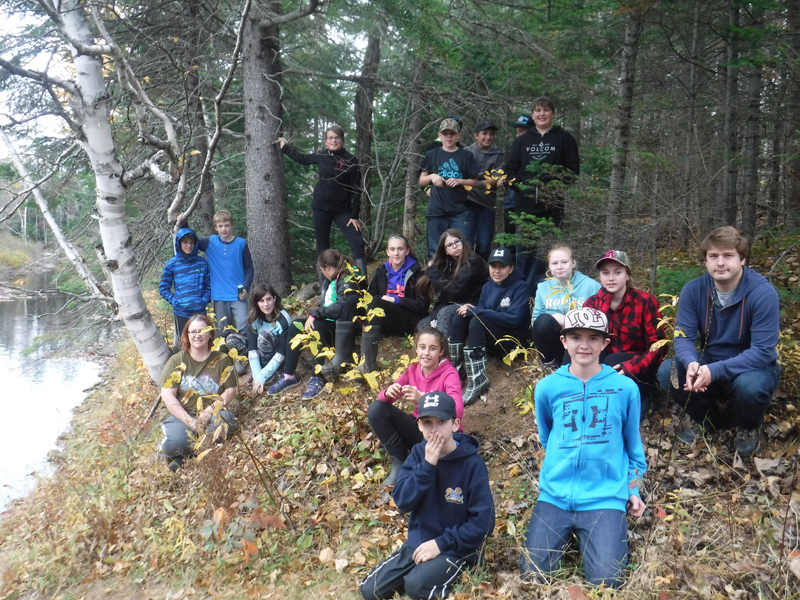 This was made possible through a contribution from the NB Environmental Trust Fund and support from the Miramichi Watershed Group (Miramichi River Environmental Assessment Committee). We asked for the approval of this group before taking any action, since this school is located within the territory of this group. With the addition of W. F. Boisvert School to this component of the project, this outreach program continues to grow and improve. 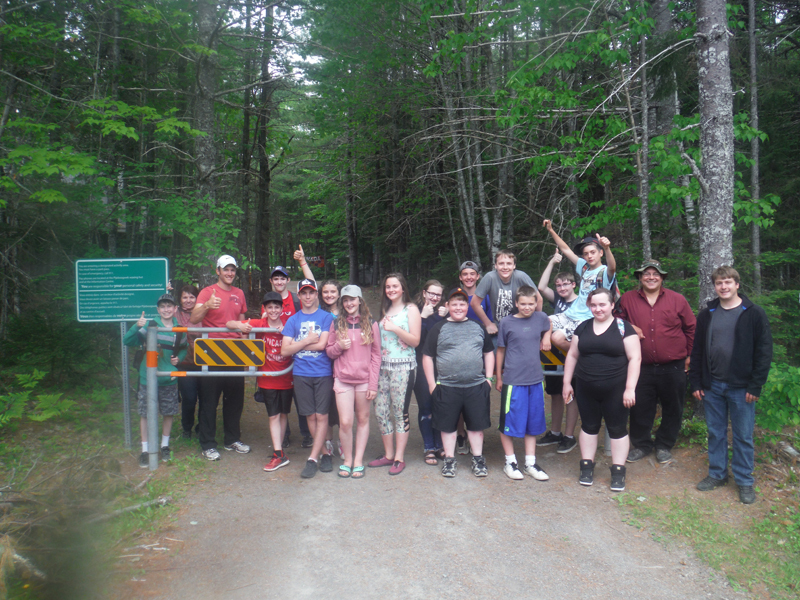 The Friends of the Kouchibouguacis used the program "Fish Habitat… Watch Out!” an ecological monitoring program focused on fish and fish habitat in order to introduce the types of habitats and fish found in watercourses, their functions, and the importance of aquatic habitat quality and water quality. Like invertebrates, freshwater fish are good indicators to use in assessing the health status of an aquatic environment, as tolerance to pollution varies among species. 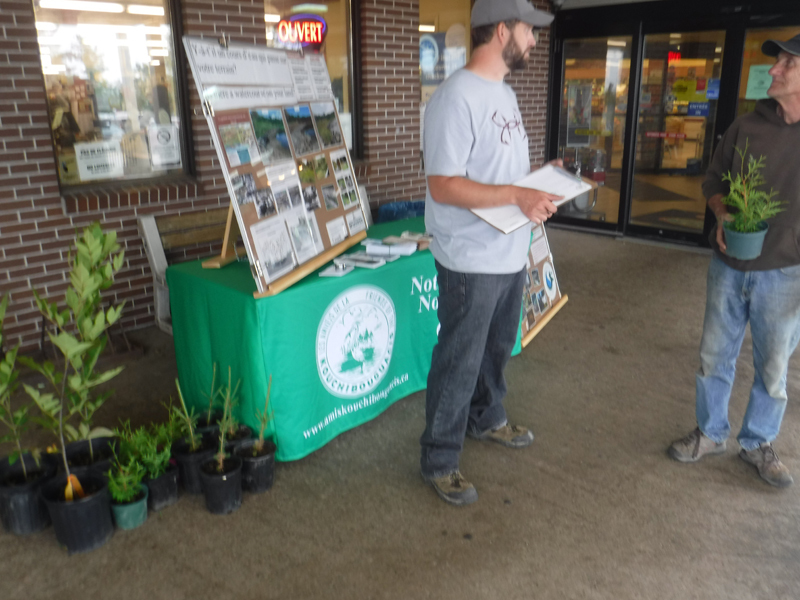 We only do the habitat, habitat quality and water quality portions of the program. We do not cover the part of external anomalies such as deformities, erosion, lesions, tumors (DELT) of the program because we do not find enough external anomalies to fill this part of the program. 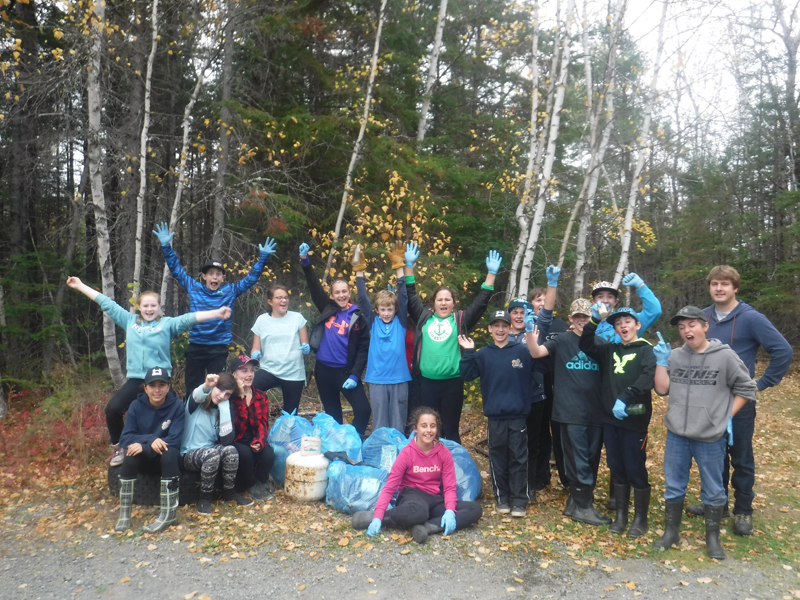 The Friends of the Kouchibouguacis participate in the Beach Sweep program, a program offered by the H2O Management Group (Caraquet Bay Watershed) which has been coordinating this program since 2000. Beach Sweep focuses on educating and raising public awareness about the amount of waste in Eastern NB and its impact on the environment. 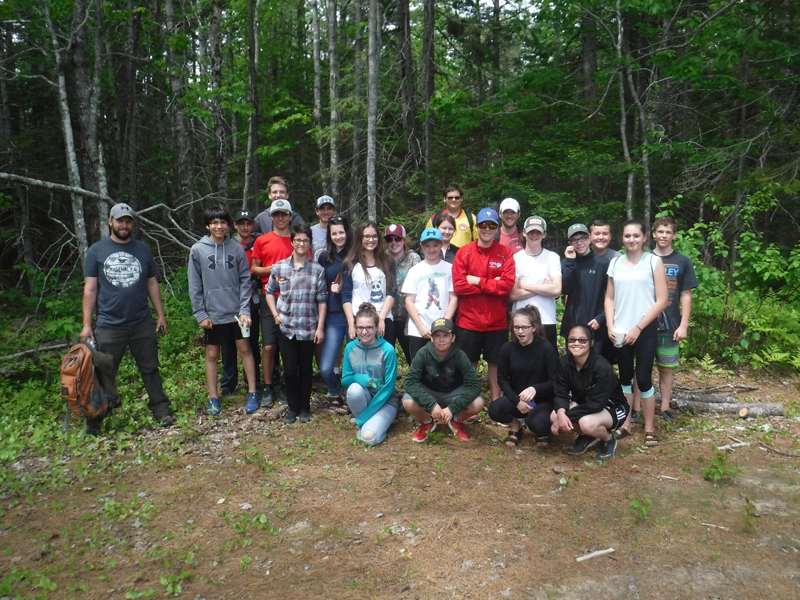 In order to introduce themselves as the watershed group in the region, the Friends of Kouchibouguacis organized a geocaching activity to promote education and awareness of the projects undertaken on the Kouchibouguac River and the Kouchibouguacis River and their tributaries. Since 2015, this activity has proven to be a good learning tool for students.